After Hours Baker, Braverman, Barbadoro & Beer! Name: After Hours Baker, Braverman, Barbadoro & Beer! 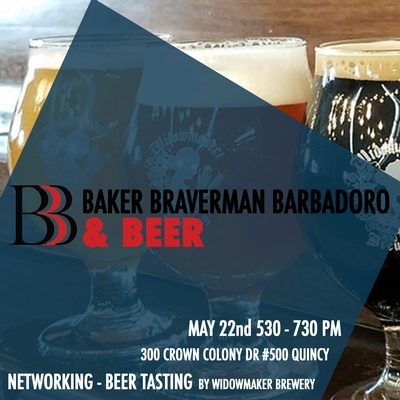 Join us with the Baker Braverman & Barbadoro team for networking over some beer. Trust us, its a good combination! Networking helps you to find people with lots of business experience who are often very willing to share their knowledge with you. Successful business people are usually generous with advice particularly with people open to listening.